At Absolute Casing, we pride ourselves on being a high quality bespoke flight case manufacturer and supplier of an extensive range of casing solutions. We believe in building cases that are right first time, built to last and designed to protect your items. We’re always thinking inside the box. Over 60 years’ experience designing and manufacturing high quality casing solutions. Our dedicated sales team and design engineers work in collaboration daily with an eye for attention to detail to ensure that your case meets your requirements. We offer a vast range of packaging options to store, transport and protect your items. In-house manufacturing facility with a full range of machinery and highly skilled production staff. Absolute-ly thrilled with our new flight cases from Absolute Casing. Thanks to you and the team for the cases that we ordered. They were fantastic! They look excellent, and all of the product and literature fitted into each cut out perfectly. Excellent all round, as always. Feedback on these cases is very positive and they have been well received. The quality of workmanship is very high. Absolute Casing understand our specific requirements and work with us to design high performance flight cases suitable for our delicate instruments. 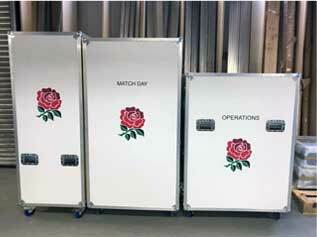 We specialise in designing and manufacturing high-quality bespoke flight cases. Our bespoke flight cases are designed specifically to suit your needs and can be as simple or sophisticated as you require. Our bespoke flight cases are available with a range of internal fittings that allow you to customise your storage space including foam fittings, lift out trays, drawers and compartments.